The Riut RiutBag - Backpacks remain the most convenient way to carry things around in a city, not only because it offers more space than a traditional briefcase or handbag but also makes it a LOT easier to carry a LOT more. 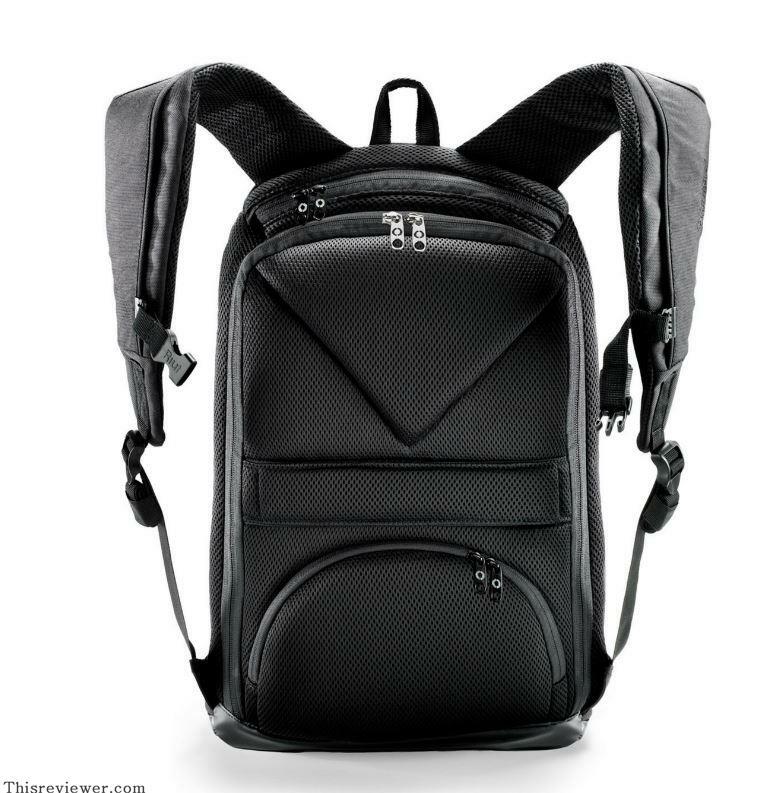 However, security of these backpacks has proven, time and time again, to be a real issue with thieves easily managing to open backpack and getting their hands on your priced possessions, usually the mobile phone and or your laptop. Due to the unnecessary anxiety we always experience when carrying a backpack, many opt for a messenger bag which feels safer, because you can easily carry it at your side with your arm over it, but the truth is that it is less comfortable and less convenient than a backpack. Riut is set out to offer the solution to all these problems, with a new concept of a secure backpack designed to keep your devices safe from thieves, and it is called Riutbag pack. 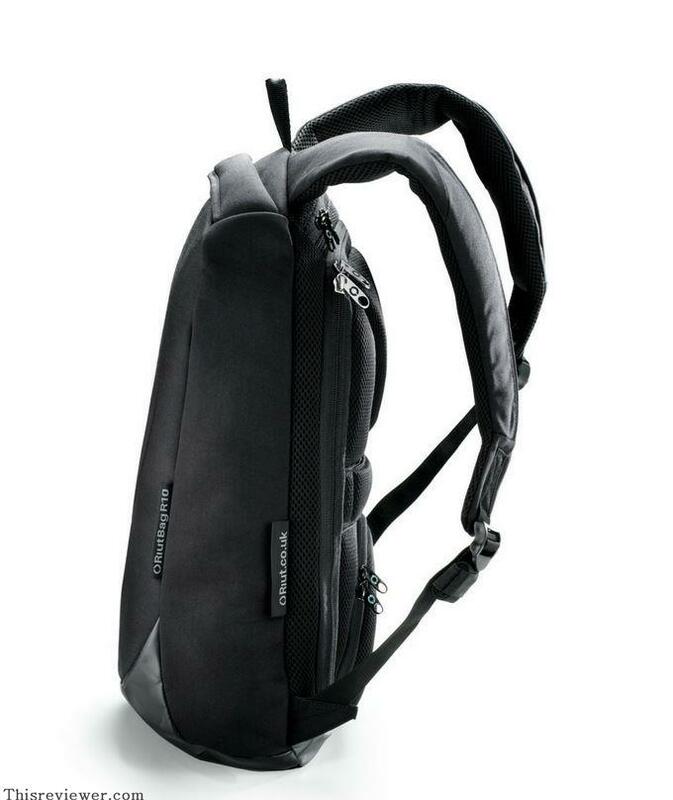 Before the introduction of the Riutbag idea, most backpack design has one major flaw, which is the security aspect. All the zips of conventional backpacks are on the outside, making them easily accessible to whoever is standing behind you. With the Riutbag, Riut took advantage of this flaw by reversing the outside zips style. Riutbag is designed with the zips against your back, and this style makes it almost impossible for anybody to unzip them. The outward facing side of the bag is plain, and the Riutbag comes with only two zips; one for the small pocket, and the other for the interior compartments. 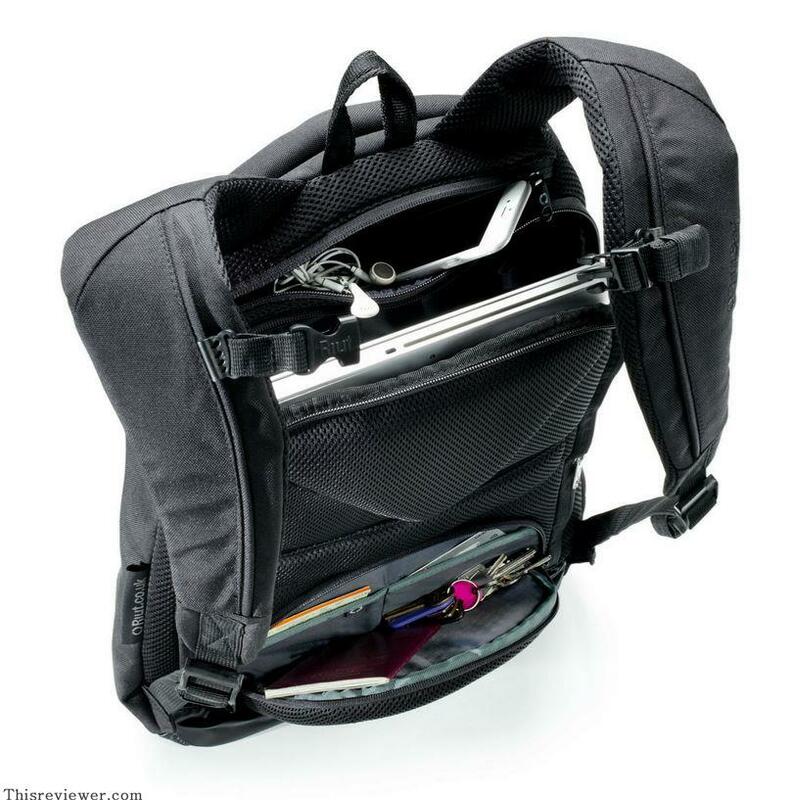 The zip for the small pocket is entirely hidden underneath the straps, while the compartment zips are located at the top, and without removing the backpack, the main compartment is completely inaccessible. 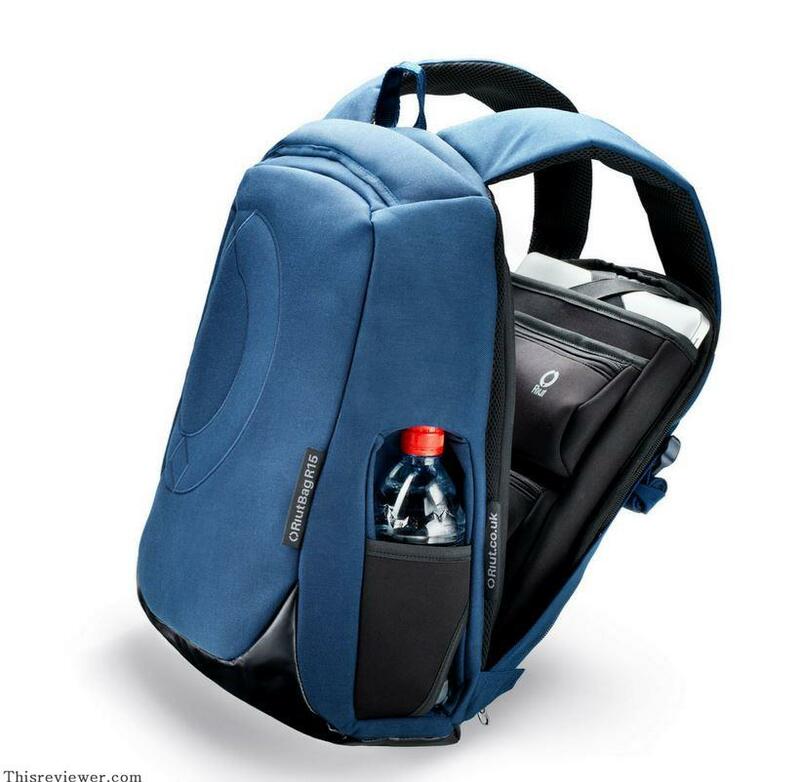 The bags are available in a 10 and 15-liter capacities. The bag has a shiny plastic base, and it is waterproof. The base is designed to keep the contents dry if you ever take it off and put it on a wet sidewalk. When you open the main compartment zip, there is a laptop slot with elastic straps to hold it whenever the bag lie flat on the floor. The laptop slot is well protected and padded from the outside. Inside the Riutbag, there is A4 document holder. There is also a big-sized cable slot, big enough to accommodate a complete set of cables. 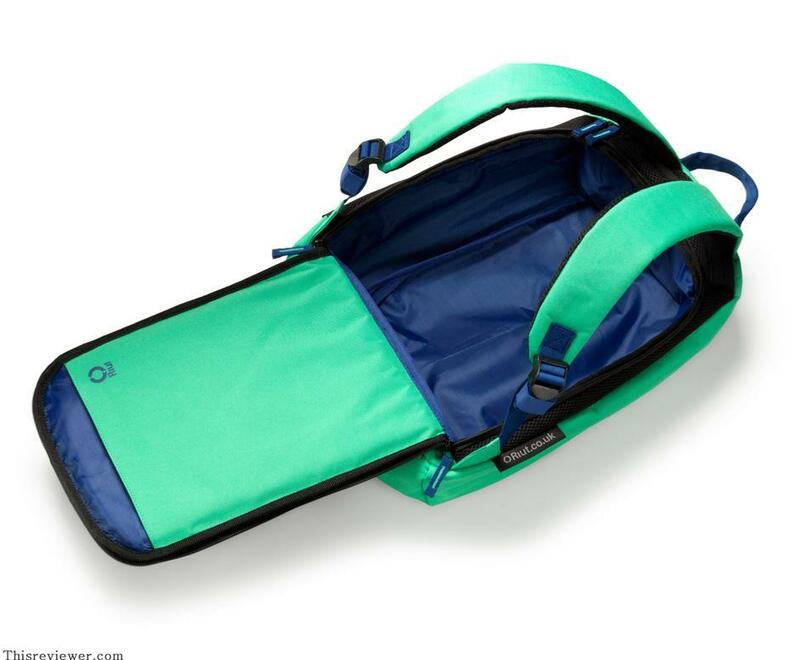 Inside the bag, there are four color-coded cable-tidy straps. Business card slot is also included. If you use pencil and pen more often, there is a slot for four pen/pencil. There is also a general compartment big enough for a sweater, plus two pockets that are appropriate for documents or more cables. The bag is comfortable to wear, and you don’t have to worry about the safety of what you carry inside the Riutbag, because the bag is only accessible through the back panel, and it means it is extremely theft-resistant. There is however one little problem here, not a big one but still, there is no chance of getting anything out of the back whiles still wearing it, you can’t ask for a family or friends to quickly reach in to grab anything BUT then that’s the whole point of this bag.